QUANTITY REMAINING for ROYAL (1), LIME (1)Love the nautical look? 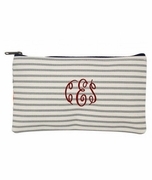 These accessories bags are fun and different with a modern bold stripe design. The bag is small and compact but is large enough to hold toiletries, sun screen, and necessities... Four great colors for spring summer… fuchsia, royal, black, lime. 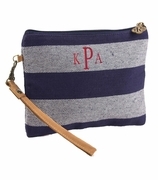 Perfect size for credit cards and other small items you may want to carry to the beach or poolside. If you are traveling, slip it into your suitcase or duffel bag. Grab-and-go with a zipper along the top ensures that the contents remain safe inside. 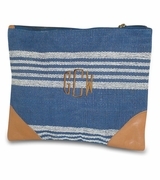 Pair with the matching stripe family tote from our collection to complete your summer look. 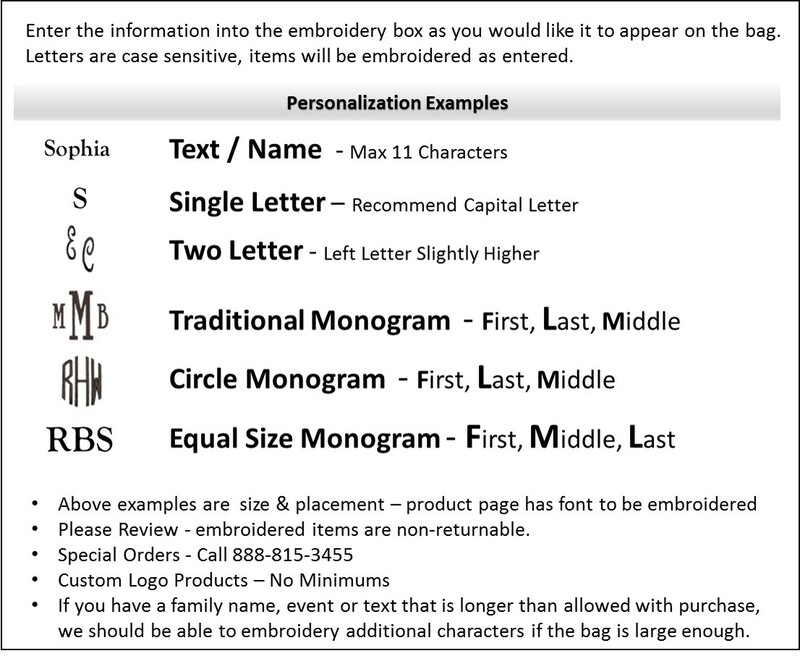 Matching stripe family tote available search item MSC-BTPK1015. 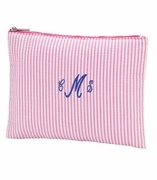 Personalized stripe cosmetic bags measures 8.5"W x 5"H x 3" across the bottom. Zipper closure.